Beach bonfire night events are sure to be romantic, refreshing and fun. Few things can match a sunset, a warm fire and close friends uniting. Bonfires are casual in nature, but vary depending on your theme and style of hosting. Throw a beach bonfire party for birthday's, reunion's or just to have a celebration. Use these bonfire tips to make your party a success. Make, Address and Mail Bonfire Style Invitations. A beach bonfire party could have several themes, such as Luau themed, shipwreck theme or Survivor themed. Another perfectly acceptable theme is BEACH themed! Pick one and use it for your invitation. 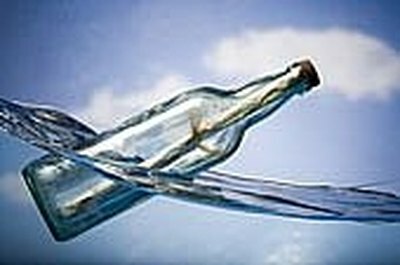 Examples include: message in a bottle invitations, using logos of shells, hibiscus flowers or a great ship. Prepare for the building of the Bonfire. Before choosing your beach location, makes sure bonfires are legal there. If you do not do this there is a chance your bonfire party will get shut down and you will have to pay a fine. Some beaches have fire pits that you can use, others allow bonfires of a certain height or to a specific time. You need someone at the party who knows how to build a bonfire (but in reality it is very simple.) Make sure to bring a shovel to dig a hole, kindling/newspaper, a lighter and a LOT of wood. Decorate according to your theme. Beach bonfires are wonderful in that decorations can be as simple or as complex as you wish. The beach is a beautiful background and it is entirely acceptable to have no decorations at all. Just make sure your guests are comfortable by providing chairs, blankets and umbrellas. It is also popular to have tiki torches at a bonfire. Another option is to pick a color theme and you can use coordinated umbrellas, plates, cups and tablecloths. Dress your guests! The best parties are ones where the guest feels united and engaged in the theme. A great way to do this is to present each guest with something to wear during the party. Examples include: beautiful flower lei's, flip flops, scrunchy themed keychain holders that go on your arm, etc. These double as party favors. Prepare Bonfire night food. 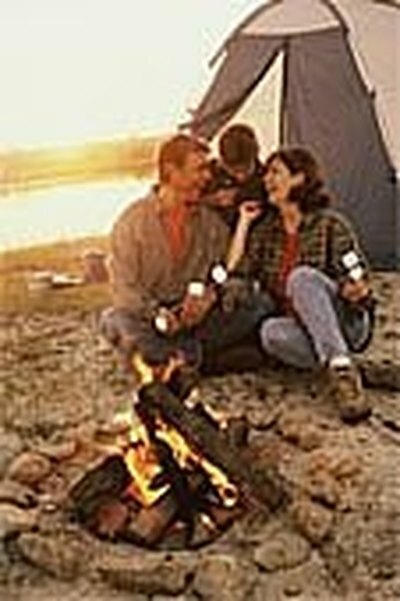 Pick foods which are easy to eat, served at room temperature or if especially fun, can be cooked in the fire! See resources sections for bonfire snacks and bonfire night recipes. Be as complex or as simple as you want. Consider making the party a buffet for less hassle and a more varied result! 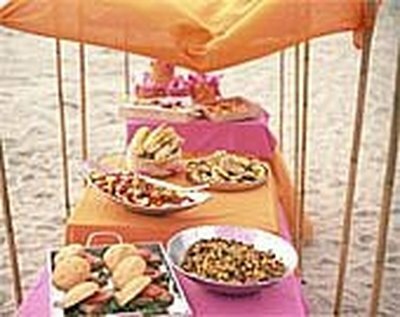 If you are doing a theme, consider doing themed food such as bbq, polynesian or crunchy food. Fruit is always popular at the beach! Prepare the outdoor bonfire party Games! 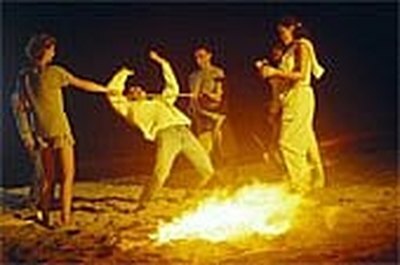 Things to do at a bonfire include relay races, limbo, truth/dare, beach volleyball or many other games. You will find that as soon as it is dark, great conversations will come out around the fire that are much better than too many organized games. 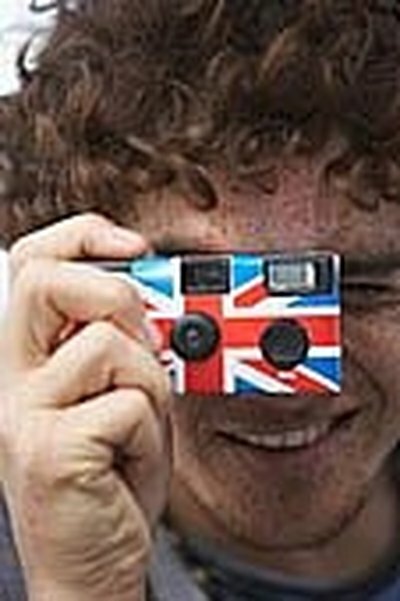 Enjoy your memorable and amazing Beach Bonfire and be sure to take pictures! If sparklers are legal in your area, they can make a special night time activity. Do all the prep work before hand, so you can relax at the bonfire. Make sure to follow safety tips - see resource section.